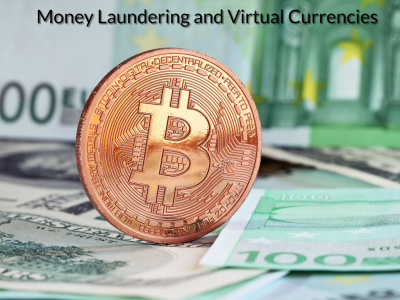 Money laundering has on occasion been shown to involve the use of digital virtual currencies such as Bitcoin. Investigations concerning the use of digital/virtual currencies such as Bitcoin tend to involve international / transnational criminal law investigations and prosecutions. This often involves different legal institutions working with each other at a formal level, via Mutual Assistance law or informally, via police to police co operation, to detect, investigate and prosecute offences. When different law enforcement agencies across the globe are working together questions concerning privacy, human rights and nation based legal rights are often difficult to protect. Individuals however who are the subject of such investigations and prosecutions face significant legal problems which may involve potential extradition and the sharing of information without any consideration of the legal and human rights of the individual. Example of where international co operation has been used by AUSTRAC to identify and investigate an instance of money laundering. AUSTRAC was part of an investigation which led to the arrest of an individual who used digital currency to purchase, import and sell prohibited drugs through a black market website. AUSTRAC uncovered multiple international funds transfers made by the suspect to a digital currency exchange in order to purchase a digital currency. The funds were transferred via banks to an online digital currency exchange based overseas, allowing the suspect to purchase an amount of digital currency. The use of digital currencies provides a degree of anonymity for users. The suspect was successfully charged and convicted with drug importation and trafficking offences. Financial activity relating to the use of digital currencies may be indirectly visible to AUSTRAC via the regulated sector. • Suspicious matter reports (SMRs) submitted where reporting entities consider financial activity involving a digital currency exchange to be suspicious.